Want your gas log fire to look like the real thing? You had better check out Real Fyre Evening Fyre Gas Logs before you look at anything else. Evening Fyre gas logs are Peterson's most realistic-looking gas log set ever. The most realistic-looking gas logs from the industry's most trusted manufacturer is a pretty bold statement, but the Evening Fyre gas logs live up to it. They have extremely authentic surface bark detail that makes them look just like the real thing. Plus, these gas logs are made from the same quality materials as other Peterson logs, they have the same steel reinforcement rods, and they feature the same superb craftsmanship. Real Fyre Evening Fyre Gas Logs by Peterson are truly the ultimate in taking the look and feel of an actual wood fire and recreating it in your own home. This gas log set is a Vent Free Gas Logs Set. Vent-free gas logs (also called Ventless gas logs), which operate with the chimney flue closed, will not give you that roaring fire effect- the flame is not as realistic or as high as you'll find with vented logs. But, vent-free logs are an efficient heat source because 100% of the heat generated stays in your home. You'll often see vent-free logs referred to as "vent-free heaters" because that is essentially what they are. They consist of U-shaped burners with cement logs stacked on top of the heating element. Most sets have a thermostatic control that helps maintain a consistent room temperature. Vent-free heaters add moisture to the air, so it's important to install them in a room with proper ventilation to avoid formation of mildew. Before installing any gas log system, check your local and state codes. In some localities, vent-free heaters are not permitted. Vent-free heaters are not permitted in bedrooms, bathrooms or recreational vehicles, and must be installed in an area where curtains, furniture, clothing or other flammable objects are at least 36 inches away from the perimeter of the heater. Vent-free heater installation also is not recommended in high traffic, windy or drafty areas. 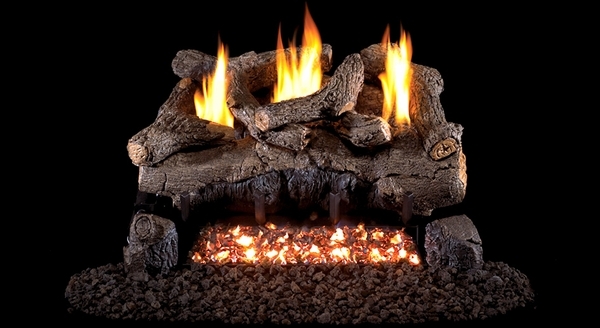 This Ventless Gas Logs Set comes with Real Fyre Vent Free burner system, ODS safety system, pre-assembled valve, lava-fyre granules, glowing embers, custom grate, and connector kit. This gas log set is a ventless manual pilot system. The pilot will stay lit at all times. The log set is lit manually using the manual valve on the side of the burner system..
* The fireplace's Middle Width must be at least 21 Inches and the Depth must be at least 13 Inches for this gas log set to fit. 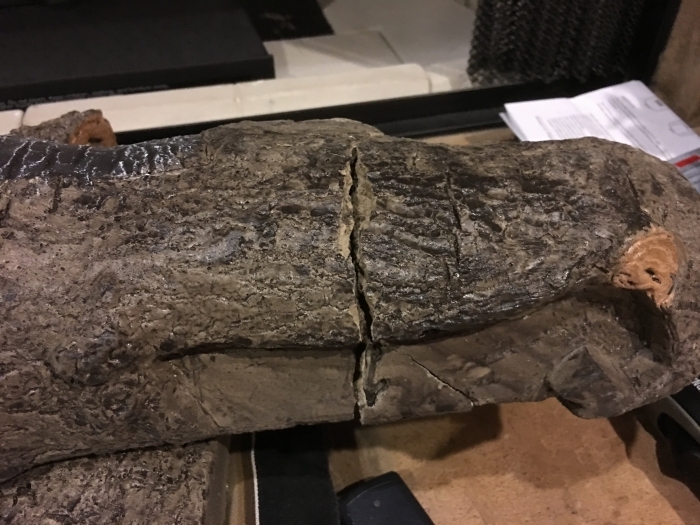 You can calculate the middle width of your firebox by measuring the width (left to right) approximately half way back in the firebox. If you have any questions, please contact our customer service department and we will be happy to assist you in finding the perfect size gas log set. Best replacement we could have wished for! These are the best logs ever. Highly recommend. I bought my first ventless gas log10 years ago. And I was not very impressed with the looks or efficiency of the burner you could always tell that you were running the heater because of the smell but it did the job. 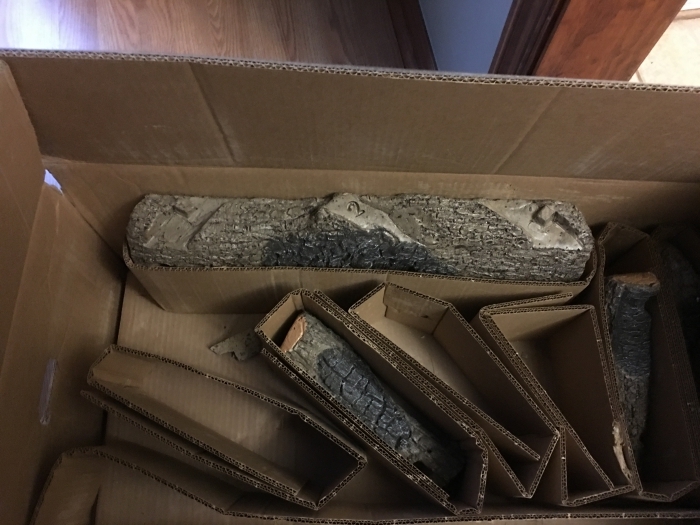 This new log is very good-looking and presents good heat I would rated a five but the shipping was terrible they did not package the product good enough and both of the main logs broken. 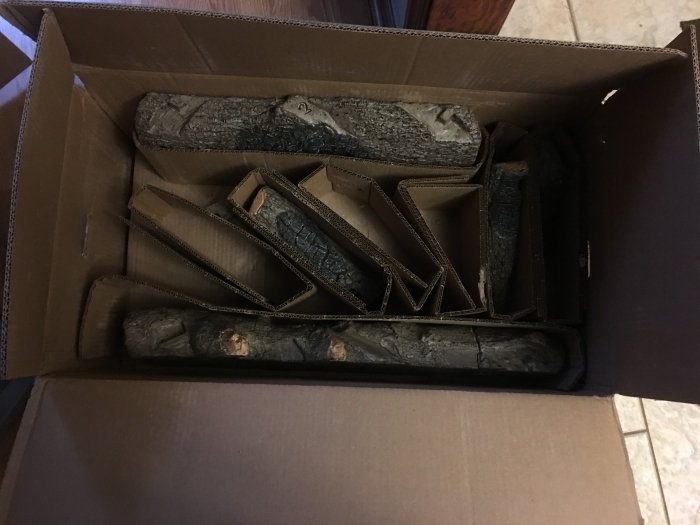 They did replace the logs at no charge but it took almost a month to get them. Looks very authentic and just like a real wood fire. Very happy with the set. This is an excellent product that possesses great durability and is very easy to assemble. Check where you live for any regulations regarding gas fire sets as some states require you to get a carbon monoxide detector (although I think this is a good idea wherever you are). I do have to say that I enjoy the non-vented version of the gas log units more than their vented alternatives. I feel like it heats much more efficiently than any vented sets, and the fire doesn't move around as much. The design is attractive, the assembly process is straightforward and the quality is exemplary. All of the Real Fyre logs have proven themselves to be perfect for our home. Their overall appearance is realistic and they provide sufficient heat. The logs are simply gorgeous and are built to last. Our fireplace is a very beautiful see through unit, and these logs serve as the perfect centerpiece for it. The part of this unit that everyone absolutely loves is the remote. This product is a terrific product at a great price. The fire is a perfect way to sit down and relax after a long day of busyness. It looks just like we have a natural wood fire in the fireplace, and it puts out much more heat than we thought. It will raise the temperature almost ten degrees in just as many minutes, and that is over the entire first floor of our home! I made the decision a while back to convert my fireplace to gas lags and decided to go with these. Everything about them from durability to quality speaks of nothing but excellence.